Previous generations of robot vacuums had a lot of market complaints. Whether they did a poor job at picking up fine dust, large crumbs, or just bobbing into the wall until the battery died, there wasn’t much reason to justify the cost in getting one. Today, models like Roomba, Neato, Dyson, iLife & ECOVACS not only give you a wide variety of models to choose from, but they also do a much better job at doing that thing you expect them to do — vacuum. For this list, we highlight some of the best and most exciting features of each robot vacuum, then reveal our pick for the best robot vacuum on the market. Whether you’re looking at it for a holiday gift or for the next addition to your smart home, these are the robot vacuums you should target to keep your home clean while you sit back and watch them work their magic. There is a lot to like about the Roomba robot vacuums, and the Roomba 690 is probably the top model on the market in terms of price, power, and functionality. It has a sleek app that allows you to set schedules and manually set the vacuum into motion, and the Dirt Detect sensors do a surprisingly good job at spending extra time in dirty areas of your home. Want a reliable robot vacuum with great dust storage and cleaning power. While this isn’t the most expensive version Neato has to offer, we like it because it has all the features we’ve identified as important for most robot vacuum buyers. 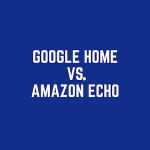 It works with Alexa, which is always a fun party trick when you have company over, and it’s app makes it easy to control whether you’re home or away. We like the squared edges for getting hard to reach corners, and the multiple modes allow you to do a quick clean up or a more focused cleaning session. Want a high end robot vacuum that can stand up to anything else on the market. If you’re in the market for one of the top dogs in the market, you might want to consider the Dyson 360 Eye Robot. In terms of cleaning, it doesn’t get much better, although fitting under couches and short tables is impossible due to it’s size. What’s great about the Dyson 360 is the powerful suction, but also the intelligent mapping which projects the most efficient path in a room. There is also a wide, traditional vacuum brush that does great on both hard floors and carpet. Are willing to spend a bit more for maximum clean. While it does have the battery life or the cleaning power of some of the other robot vacuums like Roomba vs Neato vs Dyson, the ILIFE V5s Pro Robot Vacuum has the ability to vacuum and mop your floor. This is an especially attractive option for anyone with mostly hard surface flooring in their houses. This is a slim vacuum, so it can fit under couches, but it tends to be a little loud and doesn’t follow any kind of pattern. Still, this is a great low-price option with the ability to sweep and mop. Want a low-price option and have more hard floors than carpet. While the ECOVACS name isn’t as well known as some of the bigger players like Neato vs Dyson, it stands up well to the bigger brands in terms of vacuum power and options. The ECOVACS DEEBOT N79S pairs with Alexa, has an easy-to-use app that you can control from anywhere, and does a great job cleaning your home at a fraction of the price of the bigger brands. We prefer the DEEBOT N79S compared to the N79 for the added ability to clean specific areas or entire floors. Want all the options as high-end robot vacuums at a reasonable price. Each of the above robot vacuums are highly rated and good choices for any home. Some make more sense for homes with more carpet than hardwood, and others for hard surfaces. Our pick for the best robot vacuum is the iRobot Roomba 690 Robot Vacuum. It’s middle of the road price, easy app use, and wide range of customizations makes it the perfect pick for our top robot vacuum. 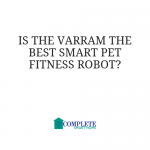 Is The Varram The Best Smart Pet Fitness Robot? 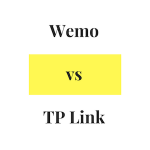 Wemo vs TP Link: What Is The Best Smart Plug For Your Home in 2018? 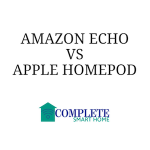 Amazon Echo vs Apple HomePod: Why Amazon is still King…for now.